Rent A Car Bulgaria, Коли под наем Видин и Русе, Rent a car Vidin Ruse, Promotional prices - Rent-a-car Bulgaria, Car Hire in BG, koli pod naem, услуги, автомобили под наем, трансфер и транспортни услуги, превоз на пътници и автомобили във всички класове, рент а кар в България, автомобили под наем България, рентакар Видин, Русе, София, Варна, Монтана, Враца, Велико Търново, Белоградчик, Плевен, кола под наем на летище София, летище Варна. We at IKO86 Rent A Car pride ourselves on offering the best service at the best price. That`s our definition of value. We at IKO86 Rent Car are dedicated to making all phases of the car rental process friendly and efficient. We believe it`s the human workforce that makes the true difference in your car rental experience. Our “Meet and Greet” delivery and pick-up/drop-off system is a true testament to our devotion. We serve the international airports in Bulgaria (Sofia and Varna) and in Romania (Bucharest). We bring the car rental to you! We spare our clients time consuming shuttle trips or long walks and waiting to receive their car rental. We have your convenience at mind! We at IKO86 Rent Car bring a family approach to the car rental industry. 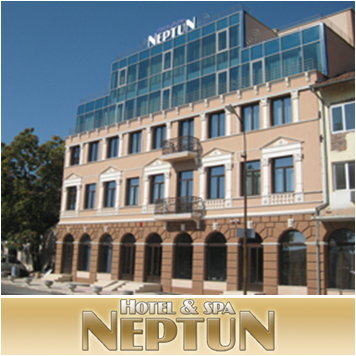 IKO86 Rent a Car is a family owned and operated business in Vidin and Ruse. We have worked together to bring you true quality and the best business relations. This is the true key to our success. We have a deep pride in who we are and how we work. We enjoy what we do and share the common goal of making the rent a car hire experience a pleasure for all. You have a true sense of feeling like a “customer” with IKO86 Rent A Car. Our industry is a fiercely competitive one, but we believe we truly outshine the rest. The standing control in technical reviews of each rental car is done by an authorized service with highly qualified personnel. If you wish we are able to meet you, your relatives, friends or business partners at the Airport, Bus Station, Railway Station or other desired location. Our rent a car assistant will be waiting at the specified place with a name-plate.